Turn your time in Nashville into a game with an interactive scavenger hunt adventure. 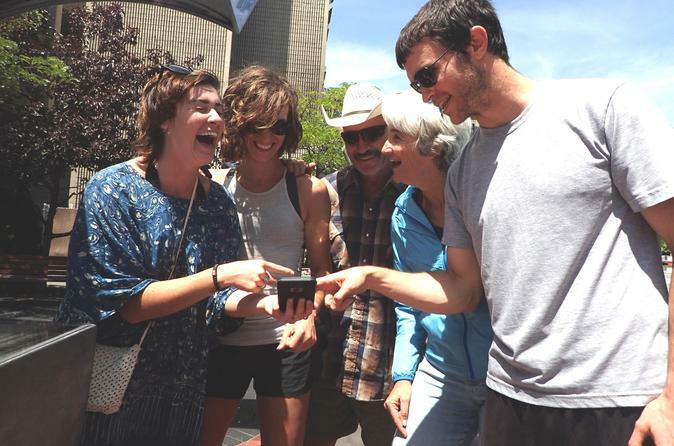 This challenge combines the excitement of a game with a 2.5-hour city walking tour. With a smartphone as your guide, make your to popular sites and hidden gems, solving clues and completing challenges along the way. A minimum of two people is required for booking and there's a maximum of five people per team. The scavenger hunt begins in the heart of Music City at the Country Music Hall of Fame. Using a smartphone as your guide, your team can start when you want and can determine your own pace of play. Visit downtown Nashville to see country music highlights, then head up to the capitol building and see the war memorials and Greek architecture of the city’s popular buildings. Walk just under two miles and use one of the city’s free shuttles during the game. The game software tracks your team’s points and posts the final score to a city leaderboard. There is a minimum of two people required for booking and a maximum of five people per team.